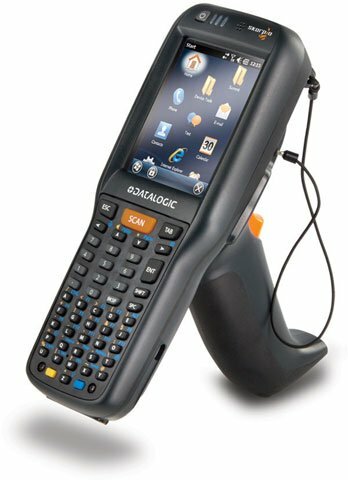 For this reason, Juniper turned to Datalogic, selecting the Wi-Fi model of the Skorpio X3 mobile computer and the UMTS model of the Elf PDA. Data transfer occurs through a Summit 802.11 a/b/g Cisco CCX V4 certified radio in the Skorpio X3 mobile computer, guaranteeing fast transactions and complete interaction with various information systems, including the most recent RF safety protocols, while the UMTS coverage provided by the Elf PDA ensures fast and precise data and voice communication anywhere along the ski run. The mobile computers control access to the event at the various entrances that range from the exclusive Fan Club area to the Just Enjoy area at the finish line and from the VIP Camel Humps area to the VIP Sas Lounge tent. The Elf PDA and Skorpio X3 mobile computer read the bar codes on the tickets and transmit the information to the central system for ticket validation. Thanks to a simple and intuitive interface, the operator receives ticket confirmation immediately, allowing the spectators to enter the event areas quickly and easily. If the ticket read is not valid due to event information that does not correspond, the ticket having already been validated, etc., the reason is displayed to the operator and the spectator is not authorized to enter the specific area. Other features of Datalogic’s mobile computers also help ensure a fully reliable system at a competition that does not provide optimum conditions. Temperatures of -15°C, wind and snow characterize Val Gardena in the winter. The Skorpio X3 mobile computer and Elf PDA have been designed to be extremely robust, providing continuous operation even in the harshest conditions. Due to freezing temperatures, operators must wear ski gloves, so they benefit from the ergonomics and light weight of the mobile computers. The bright display and color touch screen with handy keyboard also allow operators to enter manual data easily, when necessary. This innovative solution improved organizational efficiency at the competition and optimized access control and identification of all the people involved in the event, including the spectators and the operators. The Skorpio X3 mobile computer and Elf PDA eliminated all possible errors that could occur from manual ticket handling and automated the traditional process of ripping tickets, speeding up the process of entry to the event. “Datalogic’s mobile computers have allowed us to maintain our reputation as technological innovators in our field, organizing an impeccable event from every standpoint,” commented Stefania Demetz, General Director of the Saslong Classic Gardena – Gröden Organizational Committee.